Fred Hutchinson, at least to me, was largely a mystery. Like most fans I knew that he was a pretty good pitcher, a manager, that he died early from cancer and that there is an annual award named in his honor. Thanks to this new work by Mike Shannon and Scott Hannig, Fred’s very full life and the reason that he was so important, respected and celebrated has come to life. 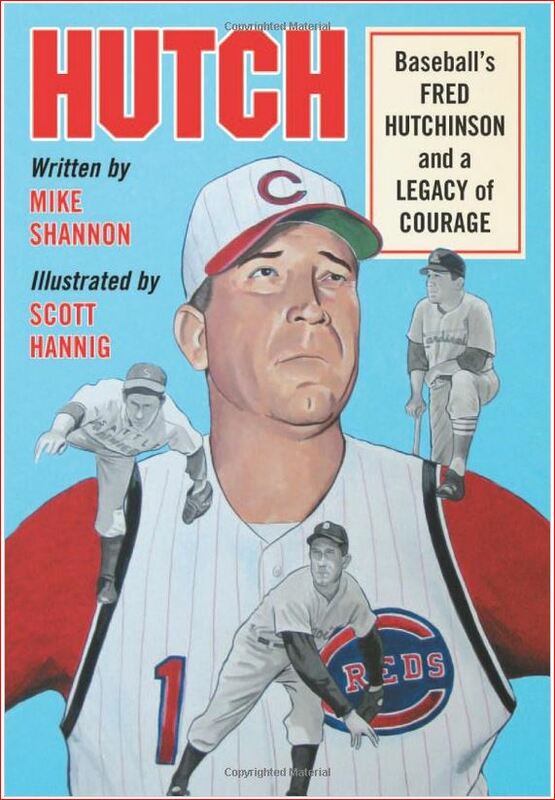 Hutch: Baseball’s Fred Hutchinson and a Legacy of Courage is a comprehensive graphic novel detailing Fred’s life through triumph and tragedy.The graphic novel format dictates that the prose is concise and insightful. It is never boring. The artwork is remarkable and kept me interested, flipping pages in a way that traditional novels seldom manage to do. Writer Mike Shannon and artist Scott Hannig had to work closely together over the course of two years in order to weave the story line through over 800 illustrations and 224 pages. The result is it’s own triumph and one that you will enjoy sharing. It deserves a choice spot in your library. Mike Shannon, 5560 Fox Road, Cincinnati, Ohio 45239.